As we all know, choosing a good VPN-provider can be difficult. Therefore we have put together a list further down here on the page. Hopefully, you will find a VPN service that suits you! – Best value and first choice for those who need a good VPN for torrents and streaming. NordVPN users rave about this VPN’s affinity with torrenting since it offers extremely fast servers located throughout the world. NordVPN also has a stricly no logs policy and is thus perfect for staying anonymous while torreting. This particular service is really good for people who want to protect their privacy across multiple devices and look for complete control over their information, with unrestricted Internet. – Perfect for anyone who wants to watch Netflix in the US or abroad. This provider is often celebrated for the wide variety of features it offers, as well as for its high operational speed. ExpressVPN can cater to users connecting throughout over 94 countries, and it uses state-of-the-art 246-bit SSL encryption to give users absolute peace of mind. This is a particularly great choice if you are the kind of person who streams a lot of video or use services such as Netflix (ask them about what server to use for Netflix if you are outside of the US). If you are not satisfied with ExpressVPN, the company even has a 30-day money-back guarantee in place. They also have a strict no logs policy. – A good and secure VPN that is cheap. IPVanish certainly stands out for one as one of the most affordable options out there. With a service price tag as low as $2.87 per month, you just can’t go wrong. IPVanish is just as valid as any of the most reputable VPN providers out there, and it offers many excellent services, including around-the-clock customer support, as well as offering apps for many different devices – from laptops and computers to smartphones and tablets. IPVanish is a great way to enhance the security of your networks and improve your freedom as you navigate the Internet, without breaking the bank. They don’t allow torrents! – This is the choice for those who want the most countries to choose from. This service wins the prize for having the funniest business name in the VPN industry, but the quality of its VPN protection if far from just being a gimmick. HideMyAss uses sophisticated data encryption algorithms to keep user information safe, and it is perfect for individual use, as well as businesses. With a monthly rate of $11.52 per month (it becomes a bit cheaper if you purchase multi-moths subscriptions, such as a yearly package or a 6-months subscription), HMA is not the cheapest provider out there, but it certainly offers a wide variety of useful features, shining where many other competitors don’t. In addition to that, HMA is remarkably fast, due to its network of modern servers that provide optimized operations to target the needs of different users. Keep in mind that HMA! doesn’t allow torrents! – This is our choice for those of you who just want to try a free VPN. Tunnelbear VPN is fast, secure and straightforward, and it helps users with unlimited data at convenient rates. This service only charges 4.16 dollars a month, making it particularly perfect for private users, as well as for businesses looking for cost-effective ways to shield their valuable information. Major tech media such as Lifehacker, Forbes or The Verge are among the many people who have been raving about this particular service. Because of its cost-effectiveness, Tunnelbear is also perfect for people who are looking for casual VPN use, for example, when they use public wi-fi networks. Without getting too deep in terms of technical mumbo-jumbo, a VPN is essentially designed to hide your identity as you browse through the web. ISP services have the ability to track your every movement while you are consulting the web, and they often store your information or share it with third-party users. By subscribing to a reputable VPN provider, you will be able to access your favorite sites, stream, download and enjoy content without restrictions and without leaving traces, even if you are using a public wi-fi network outside (for example, if you are connecting from your neighborhood’s coffee shop or a public library). To put it simply, a VPN is a service that can be used in order to establish a safe connection through encryption algorithms designed to keep your data and information as reliable as possible. Usually, the process is achieved by creating a “virtual tunnel” between your computer and the server operated by your VPN provider of choice. When you are connected to your VPN provider, your data will “pass through the virtual tunnel,” so no third parties (including your ISP) can access your information and see what you are up to while surfing the net. As mentioned earlier, people are getting increasingly concerned about their privacy, so it is not surprising that the VPN industry has experienced a massive boom, with hundreds of providers offering services on a global scale. 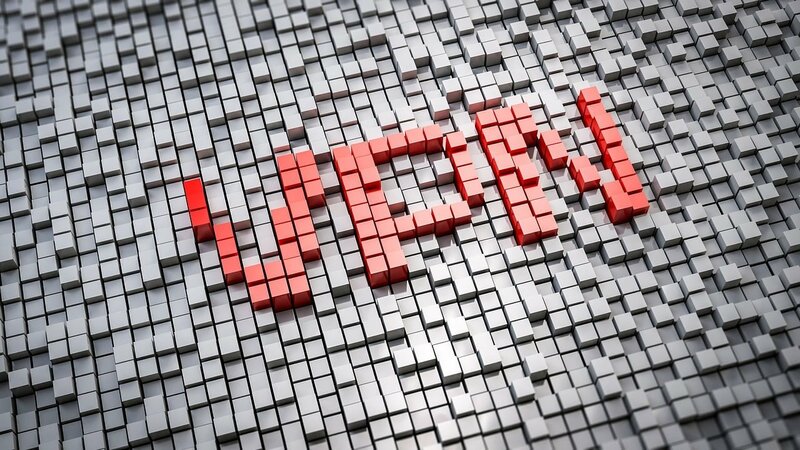 The demand for reliable and effective VPN services has spiked up greatly, unfortunately paving the way for lurkers and scammers who are looking to take advantage of people who seek to protect their information. There are many VPN providers out there who are actually not very legit. They might market themselves as the solution to your online privacy issues, but in turn, they might simply not do anything at all, or worse, they might be the one to trick you and steal the very information you are paying them to protect. There are many bad VPN services online, so you need to be especially careful before spending your money or your trust on any particular company. There is a wide variety of VPN services out there, and choosing the right one based on your needs might be a bit tricky. There are many things to consider. What are you mostly going to do through your VPN provider? Do you connect often using public networks? Do you frequently download or stream content through the web? There are many questions you should ask yourself if you are looking to choose the best VPN provider to suit your needs and budget. Many people love to use websites such as Netflix or other video streaming portals in order to enjoy video, film or other media. In many situations, you could benefit from a VPN provider in order to mask your geo-location or protect your information while using such website. As you certainly might know, streaming requires more data, and a slow VPN provider might impair the best experience. This is the reason why we highly recommend relying on a VPN service that is well-known for high speed performances. This way, you will be able to enjoy good resolution videos with no speed bumps or streaming issues. You should also look for a VPN that is able to unblock Netflix and other Geo-restricted services if you plan to do some watching in another country. These days, laptops and computer are no longer the only devices we use to connect to the Internet and browse through website. Mobile phones and tablets are on the increase, and there are many VPN services that are specifically dedicated for this particular market and purpose. Some of the best VPN providers offer particular Apple or Android apps, so users can install VPN-tools on their phones or tablets. There is a wide variety of VPN services out there, including free options. However, if you are serious about keeping your information safe and protecting your personal data, you should definitely consider using a paid VPN. As a general rule, commercial VPN services are more reliable and effective, giving you peace of mind in different situations. Having said that, you could certainly use a free VPN service if it is reputable enough, particularly if you only need the service occasionally, like when you are using a public wi-fi network you do not normally use. Bandwidth is usually very restricted with free VPNs. When downloading files using torrent services, it is very important to protect your privacy. Most torrent platforms are highly traceable, since the download is a P2P-based operation (this is when different people share files together, and the download happens from sourcing bits and pieces of files directly from various users, as opposed to downloading a whole file directly from a server). Many VPN services out there are fast and reliable enough to be used for torrenting purposes. However, you need to make sure that it is allowed by the VPN-provider. They should also have a clear no logs policy! VPN services are absolutely great for privacy, but they can be used for many other purposes as well. For example, you can use a VPN service in order to hide your geographical location, as well as using P2P download services in the safest possible way. VPN services are also great if you are loking for way to evade censorship from institutions such as governments, schools, ISP providers or workplaces, just to mention a few.